26th October, New Delhi: With the fast growth of the business, CHINT India is ready to move forward to the next step. CHINT India organised the “New Step Launching Ceremony” at Crown Plaza, Mayur Vihar. The new Indian market strategy and warehouse establishment was announced in the ceremony. CHINT’s Indian subsidiary has established in 2010. Along the years, CHINT India has offered integrated solutions to Indian valued customers like NTPC IBPIL and TATA Power, in several segments with product scope of LV, MV, HV, Automation, Solar and Power equipment. On this occasion, Lily Zhang, Vice President, Chint India siad, “Thanks to everyone to be a part of this event and sharing your valuable & precious time with us. As we all know that Nowadays India is at the stage of fast-growing development,and for that Indian government has many plans to carry out like “smart city”, 5 industrial corridor projects across India. At the same time a growing number of world-renowned companies, such as IKEA and Wal-Mart, have also set foot in India, which demonstrates the potential of the Indian market. 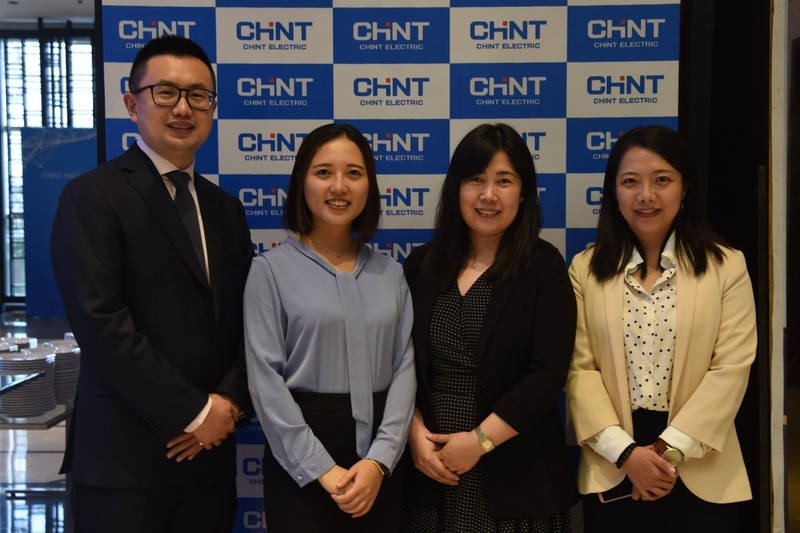 Based on the rich experience and technological reserve of urban construction in China, CHINT is willing and confident to copy this experience to India, helping India's development and achieving win-win results. In CHINT’s strategy for the future, we are now came up with warehouse support to the customers for strengthen retail network and projects and later on will take India as its manufacturing and supply centre, product and marketing centre, after-sales and customer service centre. In addition, CHINT has achieved several projects in the fields of power transmission and distribution, new energy and automation. Since 2008, India’s state power companies and private utilities have used CHINT’s power transformers from 6.9kv to 420KV; in 2017, there were another 2 220KV GIS used in GETCO power grid; TATA group, one of the biggest conglomerate, purchased 110KV 90MVA from CHINT. In the area of automation, CHINT has successfully supplied electro-hydraulic control systems and by-pass automation systems to 14 units of India's Adani Power Company. In the field of new energy, by the end of 2017, CHINT, which is committed to environmental protection and energy saving, has been part of a total capacity of over 3500MW in solar power stations worldwide, and over 300MW solar projects in India..